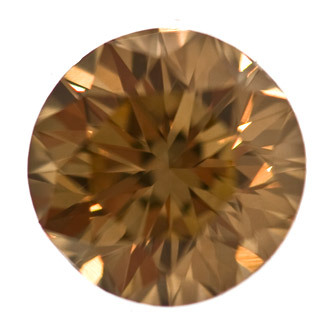 The Fancy Yellowish Brown diamond is round in shape, like the brilliant round cuts found in rings that might be regarded as more conventional. 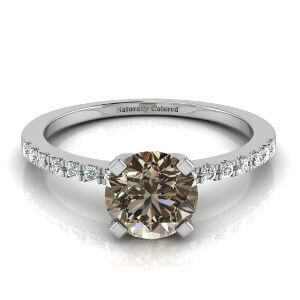 It can add a unique touch to a ring that would otherwise appear traditional. 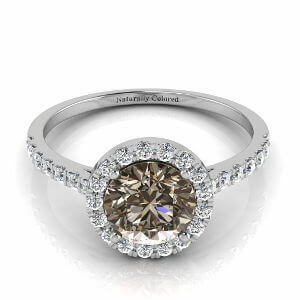 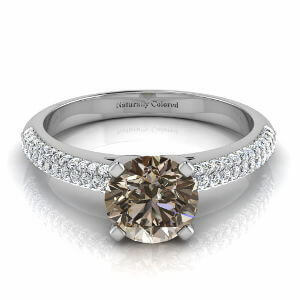 Just over a carat in weight, it makes the ideal centerpiece of any ring.